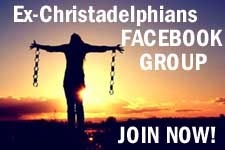 Join the Ex-Christadelphians FACEBOOK Group! The Ex-Christadelphians FACEBOOK group (not affiliated with this website) has recently topped an incredible one hundred and seventy members. We want them to quickly pass the two hundred members target and therefore we encourage all Ex-Christadelphians who have not already joined to apply to join today. Click here to join. Congratulations to Ex-Christadelphian Margaret Mumby, formerly of the Grimsby UK ecclesia, who who recently died aged 94.Our sincere condolences go to her relatives and loved ones. Editor's Note: Ken has recently added a sixth anti-Andrew Perry article to the list. - Barbie must be getting very frustrated. :) Ken: Don't be so obsessed with AP. There are more things in life than air-headed Christadelphian philosophers. Why not take Barbie out for a romantic meal instead? 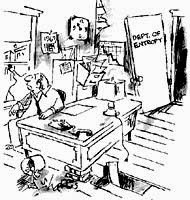 Christadelphian entropy - The opposite to scientific entropy? The proliferation of YouTube videos of Christadelphian talks continues at a pace that makes it impossible to keep up. The ones from the Rugby Christadelphians are a strangely produced, often beginning with graphics that look like they come from a 1990s web page accompanied by slightly scary portentous music. Why do we look the way we do? Neil Shubin, the paleontologist and professor of anatomy who co-discovered Tiktaalik, the “fish with hands,” tells the story of our bodies as you've never heard it before. By examining fossils and DNA, he shows us that our hands actually resemble fish fins, our heads are organized like long-extinct jawless fish, and major parts of our genomes look and function like those of worms and bacteria. 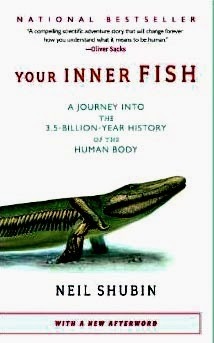 Your Inner Fish makes us look at ourselves and our world in an illuminating new light. This is science writing at its finest—enlightening, accessible and told with irresistible enthusiasm. I went to see the Noah film last week – the one with a cast of major actors including Russell Crowe in the title role. It’s not the greatest biblical epic ever – but it raised some interesting questions. This video is a thank-you to Ken Gilmore (the Ken-Cat) for all the great articles that he allows us to publish on this website. Ken: If you have not already seen this before; enjoy. 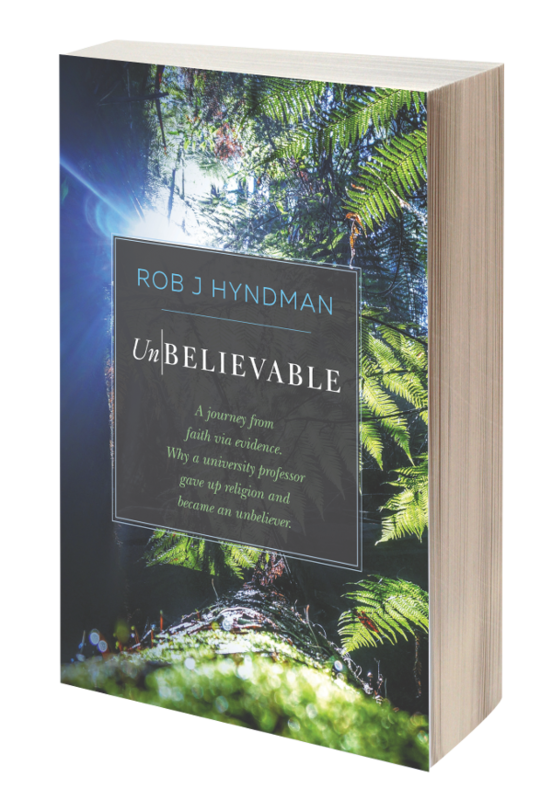 "Fundamentalism robbed me of my Christianity"
I belonged to a Christo Ecclesia which was comprised of (mostly) older dyed-in-the-wool members who were completely and utterly indoctrinated into Christadelphianism. Disfellowshipping by the Christadelphians is a way of life. Their life. They have to dot the "i`s" and cross the "t`s" of how they see their life in the "Truth". You really have to be in Christadelphia, or rather have been in Christadelphia, to understand what goes on. 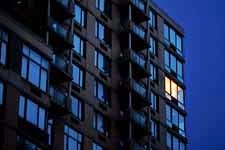 An Ex-Christadelphian has started a new website entitled 'Ex-Christadelphian Voice of Reason.' It can be found: Click here. I have not given his name; but he has told me that he will allow me to say that he was recently disfellowshipped for accepting Evolution and he has since progressed to be an Atheist/Agnostic. Most people employed within Christadelphian organisations are employed to give practical services to the members and most of these are for their Care Homes. These activities are not ones that are directly involved in preaching and therefore it is not inconsistent with the primary stance of the community.